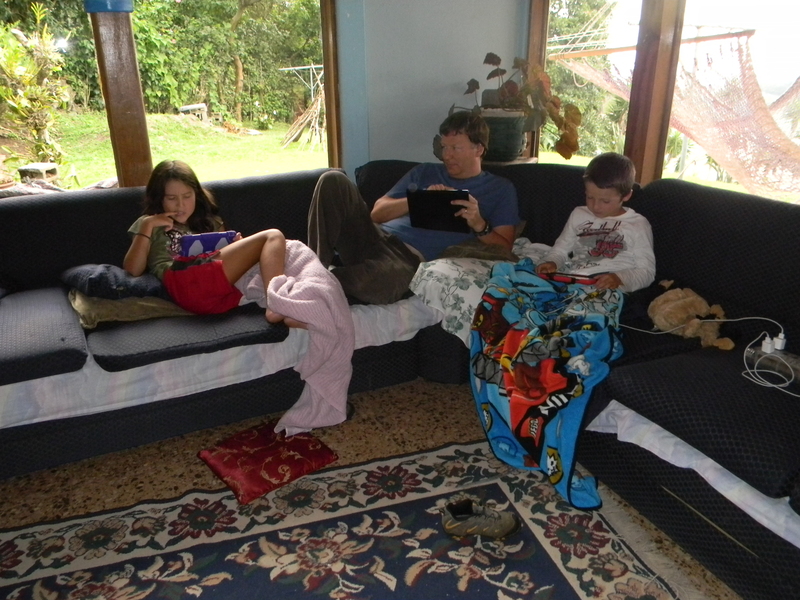 In my previous post, I blogged about the challenges of parenting as an expat in Costa Rica. As intense as it is to raise third culture kids, these are offset by all the wonderful benefits of being a parent in a developing country. You will notice that there is a blurred line between the challenges and the “perks”. I mentioned in my previous post that one of the challenges of parenting in a developing country is that we now live in much closer quarters, which means less privacy for the entire family unit. It also means we get to spend more time together as a family. We can sit on the front porch and talk about the beautiful sunset. I share the kitchen table with the kids as they do their homework. Kara and Tristan are in close proximity as I cook dinner. We watch the same shows and movies, as opposed to each of us doing our own thing like we did in the US. I spend a lot more time with my children now than I ever did before. I realize that is not necessarily a product of living in this country, but also the fact I am not working outside the home and I have more time for them. I am grateful though, that because we are living a simpler life with a lower cost of living, I don’t have to work outside the home. I would not have that luxury if we were still living in the US without sacrificing some major quality of life issues, such as being able to send the kids to a high-quality private school. As Americans, we place a great value on privacy. I have learned to get over it if that means my kids are cuddled up next to me while I watch a frequently-interrupted “Glee” on Saturday mornings. Living in a smaller house means we are spending more quality time together as a family……. When a group of people is thrown into a high-stress situation, they develop a stronger relationship. That is one of the concepts of boot camp. Moving abroad is stressful, and generates a wide range of positive and negative emotions. As a family, going through the stressful experience of moving and adjusting to a new country forged a stronger bond amongst the four of us. We learned early on to either express our feelings or explode in an emotional Chernobyl later. Not only has the quantity of time I spend with my kids increased, the quality of time we spend together has also improved. I have gotten to know my children much better in the last few months since moving to Costa Rica. I think this is a combination of spending more time together but also the slower paced life encourages conversation. 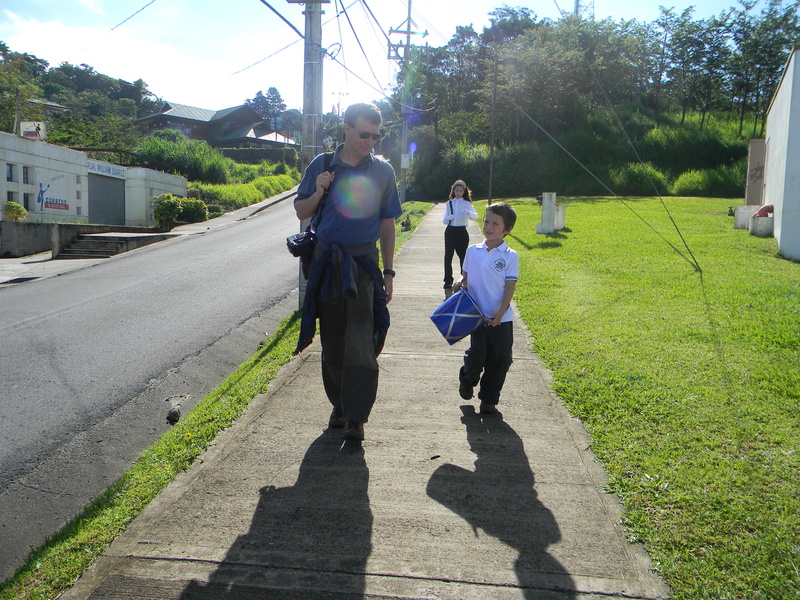 I don’t multi-task like I used to, so I am able to talk to the kids when we are walking to the Monteverde library (~50 minute walk) or into Santa Elena town (~10 minute walk). We eat dinner together every night and we make it a point to ask the kids about their day. Walking to the Desfile de Independencia. One of the my favorite aspects of living in Costa Rica is the “Pura Vida” lifestyle. I love the laid-back attitude of positivity that permeates Tico culture. As an expat, “Pura Vida” quickly becomes part of all aspects of our lives, including parenting. I am more patient. I make less rules. I am much more easy-going about picking my battles. I am better at distinguishing between disobedience and a genuine mistake (broke a glass). I am much more calm when they do make mistakes (which is often) or even disobey (which is not often). I give the kids more freedom without compromising safety and supervision. Raising third culture kids in a developing country has also been a source of a wide variety of learning experiences for them and for us. For example, when we were in Quepos, we came across a homeless man sleeping under the awning of a shop. Tristan asked me, “Is that man poor?” While we had encountered homeless people asking for money before, he had never been faced with the harsh reality of where these people go at the end of the day. One day, Kara came home from school and said, “Mom, I am starving. Can you make me something to eat? A pizote (coatimundi) ate my sandwich at school so I just ate an apple for lunch. And I did not want to ask any of my friends for part of their lunch since their lunches have less food than mine.” Through sheer observation, the kids have learned how privileged they are compared to their peers. While we were living in the US, they felt deprived. Here, they have been hit with how truly privileged they are, which is a valuable lesson for any child. They have also experienced the generosity of the people of Monteverde. Fundraisers for families in need are common here. The kids have learned that even though most people here are “poor” by US standards, they take care of their own and reach out to those in crisis. When we lived in the US, we led very parallel lives. I had my group of colleagues and friends. Chris had his own social circle, as did the kids. Our social circles rarely overlapped, which often meant that during the little time off we had, we each went our separate ways to playdates, birthday parties, or other events. It was stressful having to chauffeur the kids around to all of this, but it also ate into our family time. Now our social lives are much more integrated. We all look forward to Friday Night Burgers each week, where the kids hang out with their friends and we chat with their friends’ parents. When we get together with the other international families at Creativa, the kids’ school, the children play together while the adults chat and drink coffee. We go to the library together. We go to the various festivals and community activities as a family. A big part of this new social structure is the fact that most people don’t have a car in Monteverde. So it is difficult to drop off a child somewhere while the parent goes to another place. I think all the parents here appreciate multi-generational social events. 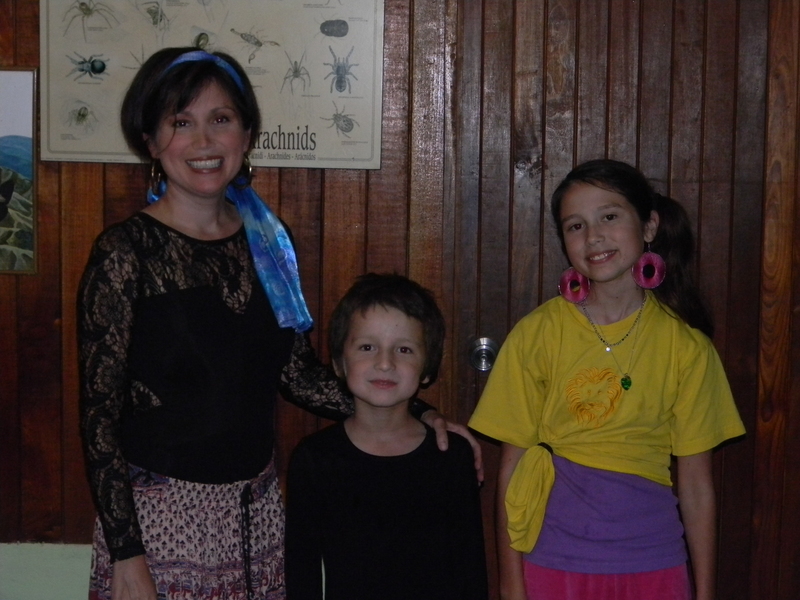 Celebrating Halloween at the Monteverde Butterfly Garden as a family. Overall, parenting in Costa Rica as an expat has amazing benefits that overshadow the challenges. By no means is it easy, and I do not claim to be a perfect parent. I am grateful that I am able to show my kids how much I love them against the backdrop of the beautiful cloud forest. What an amazing experience to share! What positive experiences or changes in parenting have you encountered after moving abroad or even to another city/state? Let me know in the comments below. This entry was posted in A Lesson Worth Learning, Family Life, Parenting and tagged expat, Expatriate, family, kids, move abroad, parenting, Pura Vida, Redesign, redesign your life. Bookmark the permalink.